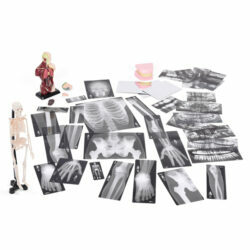 Children’s natural curiosity will be stimulated by this wonderfully engaging exploring magnets collection which has been developed to encourage questioning, close observation, experimentation and to promote further research. 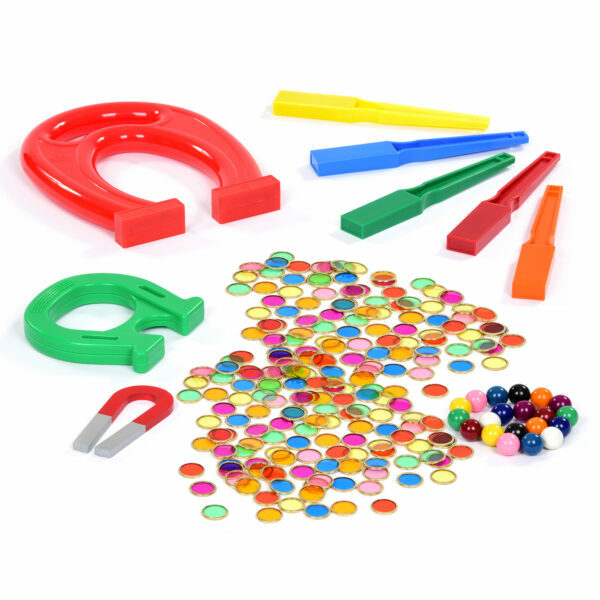 Children will be fascinated in the different strengths of these horseshoe magnets, mini magnets and set of strong wand magnets as they learn to handle and control the magnetic forces at work. Our set of six strong wand magnets paired with our colourful metal chips enable children to investigate and explore magnetism as they watch the coloured chips and magnetic marbles respond to the wands. Giant Horseshoe Magnet – 210mm – Powerful magnets, with North and South poles clearly marked, are housed at the ends of this impressive giant horseshoe magnet. 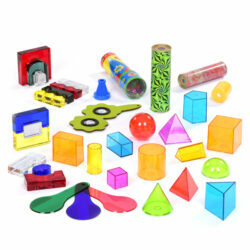 Set of Wand Magnets – pack of 6 – 190mm – Six plastic wand magnets in bright colours can be used in conjunction with metallic chips and magnetic marbles. Magnetic Marbles – pack of 20 – 15mm diameter – These magnetic marbles stick together, hang together and pull towards and away from each other. Featuring two of each colour. 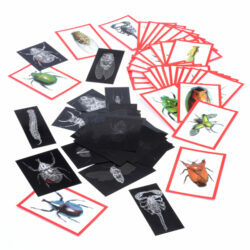 Metal Chips – 20mm – These open-ended metal chips can be used for a range of subjects including counting, sorting, currency and the steel ring around the edge of each chip means that they can be picked up by a magnet. 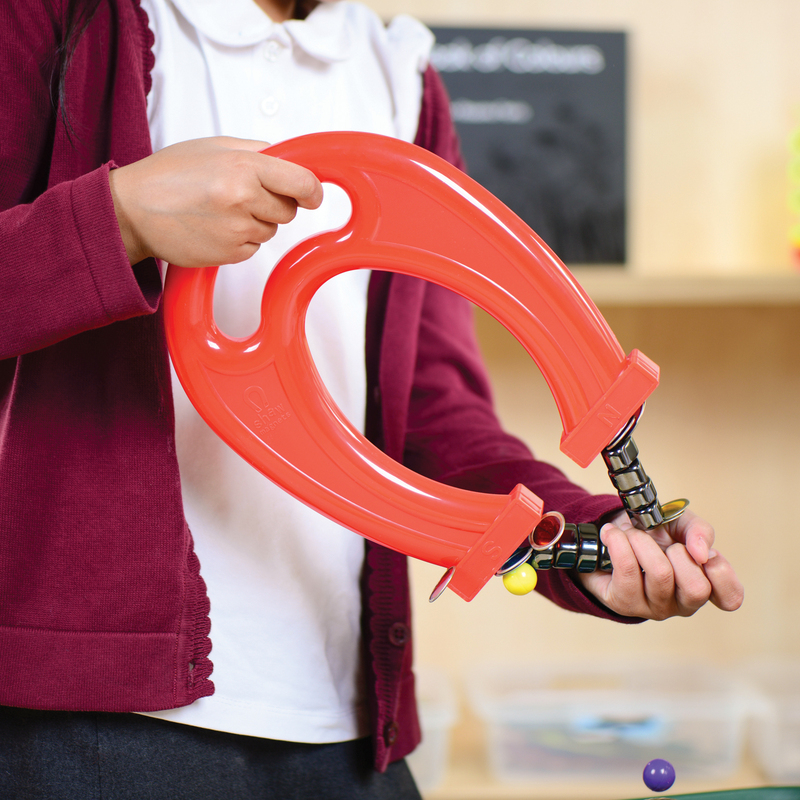 Coloured Horseshoe Magnet – 12.5cm – This horseshoe shaped magnet is great for small groups or individual learning. Small Horseshoe Magnet – 75mm x 10mm – Individual chrome steel horseshoe magnet with keeper.